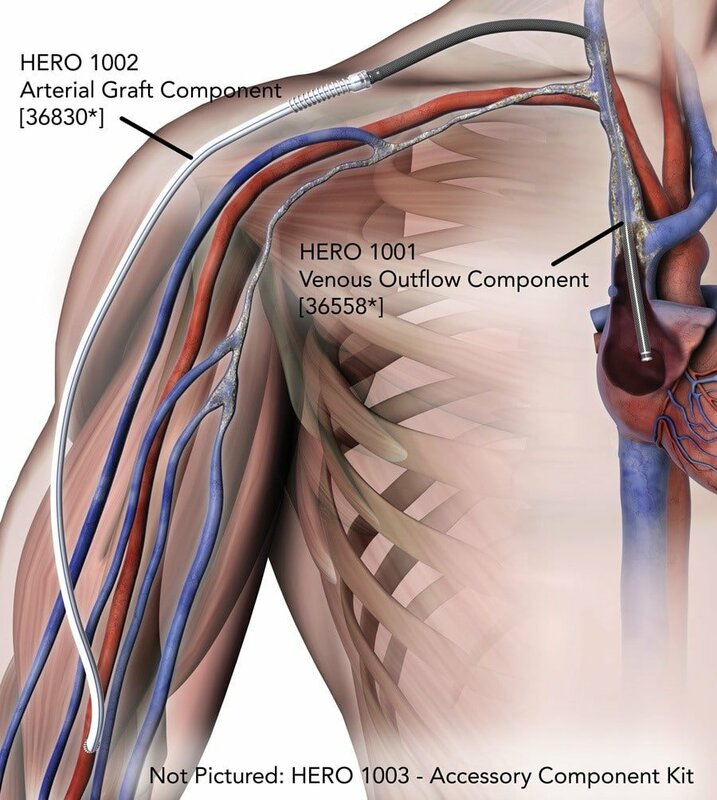 You are here: Home / Peripheral Intervention / Peripheral Intervention Access / Renal Therapies & Accessories / HeRO® Graft / Patients and Caregivers / What is HeRO Graft? Hear how Dr. Jeffrey H. Lawson and Shawn M. Gage, PA–C describe HeRO Graft and its benefits. The HeRO Graft is a hemodialysis access graft for patients who are catheter-dependent or approaching catheter-dependency due to the blockage of veins leading to the heart. How does the HeRO Graft work? A reinforced tube that bypasses blockage in veins. A dialysis graft that is sewn to an artery and accessed. What does HeRO Graft look like after it is implanted? 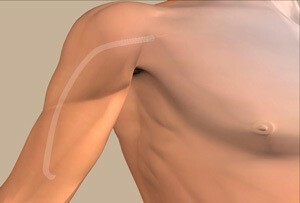 The HeRO Graft is implanted completely under the skin (see image to the right) and is accessed like a standard graft. Is HeRO Graft for you? The HeRO Graft was kind of a relief to have available as an option, because I didn’t have many options left. It gave me another chance at life. Consider the HeRO Graft! Yes, there are needles involved, but the risk of infection is far less than a catheter and that is worth it to me. Katzman et al., J Vasc Surg 2009; IFU: Comparisons to catheters and AVGs are from literature review on file.